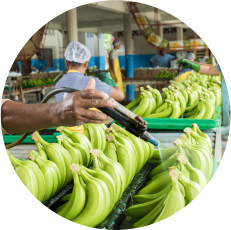 We are enthusiastic and have a strong motivation for picking our bananas in time so they arrive at the table at their prime and most enjoyable. 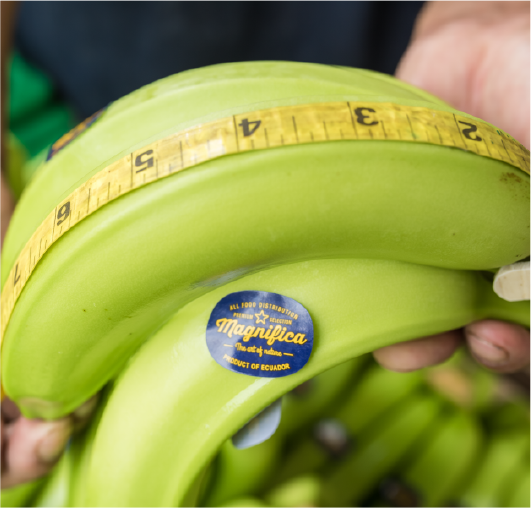 Our premium bananas are treated delicately throughout the collection process in order to maintain the level of care carried out throughout the plantation period. 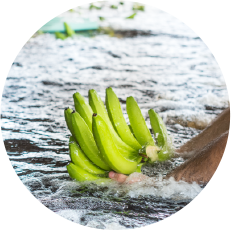 The bananas are washed in before their preparation stage. This will allow any soil or debris to be eliminated and not be present in any further manipulation. 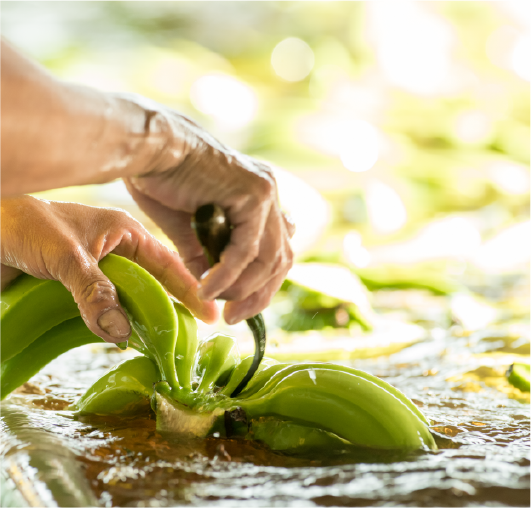 At the packing shed the bananas are hung, have their bunch covers removed, dehanded and washed. They are then placed in tanks of water for at least some minutes to wash off any trace of latex and other impurities. 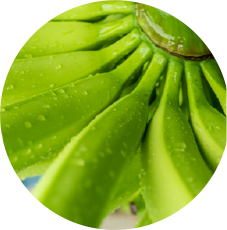 Every cautionary process is taken against damage to the skin of the fruit. 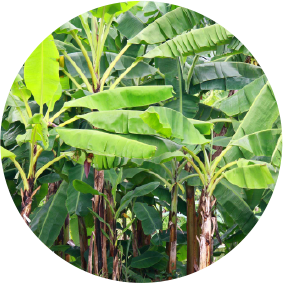 A small blade is used to cut banana hands from the bunch stalk. 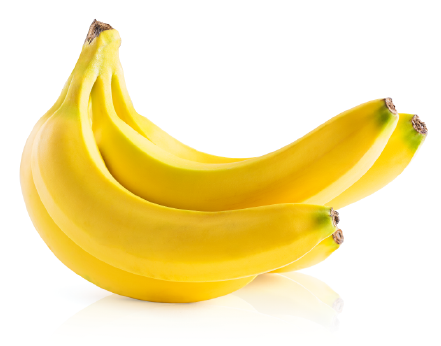 Once detached, any small or damaged fruit is removed. The hand then can be placed on the conveyor system where it is sorted and graded for size and quality.